Our dog kennels and cattery are modern, spacious, clean, heated and air conditioned. 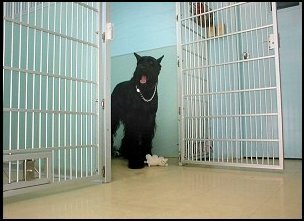 We invite you to visit our kennels where we would be happy to give you a tour. Mystic Pet Resort & Spa offers grooming services in our modern grooming facilities to help your pet look and feel it’s best. We only want what is best for your loved one and best friend….your pet! That is why we only recommend and sell wholesome natural products. Welcome to Mystic Pet Resort & Spa! 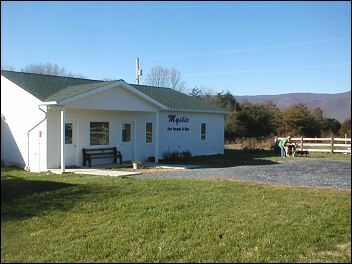 Mystic Pet Resort & SpaLocated in the beautiful mountains of the Shenandoah Valley, you will find Mystic Pet Resort & Spa is a pleasant change from most boarding and grooming facilities. We combine our cheerful, state-of-the-art kennel with caring attention for your pets. If you are planning a vacation, or visiting in Page County, Virginia, our trained staff can take care of your pet’s needs while you visit the Shenandoah National Park in the Blue Ridge Mountains, Skyline Drive, or the Luray Caverns. There is also an abundance of outside activities in the area such as swimming, hiking, biking, and canoeing. For boarding, our dog kennels and cattery are spacious, cheerful, and clean. We have a complete modern grooming facility for all breed of dogs. Check with us about Special Hours on Federal Holidays. 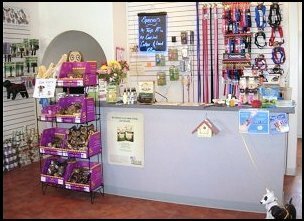 If you have any questions about Mystic Pet Resort & Spa, please call us at: 540-743-5004, or e-mail us here. At Mystic, we only want what is best for your loved one and best friend….your pet! That is why we only recommend and sell wholesome natural products. We believe a healthy pet is a happy pet! “Great place to get your pets groomed. Friendly staff, easy to talk to and they listen! My little puppies looked so good after an afternoon at their spa and felt so much better too.